SIM card Registration system (SIRES) is a PHP & MySQL system for registering sim card online and anywhere, the system is also capable of doing registration with smartphone, android or even tablets. 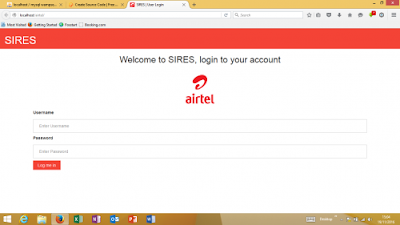 SIRES contains two types of users which are Administrators and Standard Users, each admin can login, create and delete standard users, register sim card, delete and update all sim card records, update account information. Standard users can only login, register sim card, delete and update sim card record which he/she have register them, update account information. In our country Tanzania, Registration of SIM cards is still a problem because in order to be 100% registered your information must be submitted to the phone company by the agent who registered your SIM Card the process which may take even a week but with SIRES the information is stored on a Database and the phone company can access that information any time.